It’s fair to say that there is quite a bit of confusion surrounding the next Nokia-branded devices. Initially, leaks suggested that the upcoming Nokia 7.1 Plus would boast a traditional 18:9 display, but renders that appeared shortly after ultimately contradicted these claims by showcasing a notched panel. Following this, a similar scenario occurred with the Nokia 7.1 wherein the expectation was an 18:9 display but the reality is yet another notched offering. But thankfully, one reliable source appears to have explained why. According to the information, HMD Global actually has three devices in the works. The first, as leaked, will be the mid-range Nokia 7.1 which will boast a notched display and come powered by Qualcomm’s Snapdragon 636. This will then be joined by the notch-bearing 7.1 Plus that features the Snapdragon 710. And lastly, these will both launch alongside yet another Snapdragon 710-powered offering. Explaining the previous leaks and unlike the 7.1 Plus, however, this will not come equipped with a notched display. Instead, it will make use of a much more traditional 18:9 panel, as seen on a number of Nokia smartphones. At this point in time, it’s still unclear what this mystery device will be called and what will differentiate it from the Nokia 7.1 Plus, but perhaps the offering will focus more heavily on the camera department. After all, a recent Nokia camera app teardown suggested the brand is working on a number of new features. HMD has been steadily rolling out the midrange releases! The midrange segment of the smartphone market is currently the most competitive, and HMD seems to be making sure that they have a different phone available for the different wants and needs of the consumer in the low to upper midrange segment of the smartphone market. They've been focusing on midrange smartphones. The high end market is over saturated, and therefore there is less of a profit to be gained their. The midrange market is where the profit is at for any smartphone OEM not named Apple. HMD is smart enough to realize this, which is why they are the ones in the "smart"-phone business, and you're not. 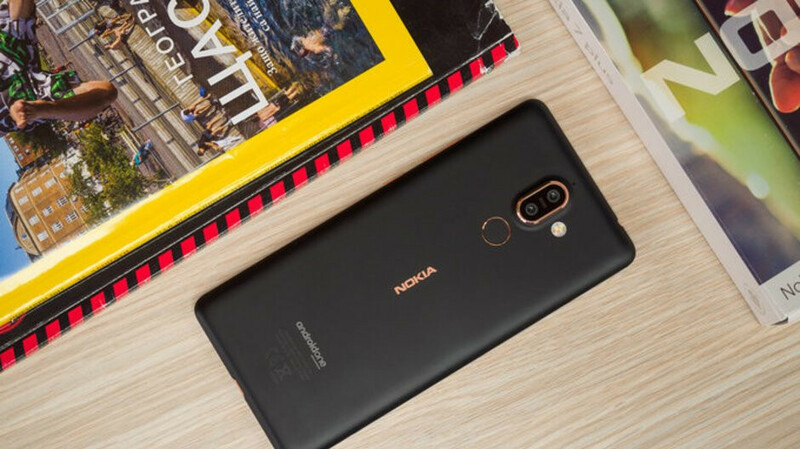 The 630 chipset is more than admirable for a midrange smartphone, and the design of the Nokia 6.1 is incredible. That's been unanimously said by tech reviewers. Not everyone wants or needs a paper thin smartphone that's prone to breaking. Nothing wrong with the 16:9 aspect ratio either. It gets the job done. And the 6.1 isn't the only Nokia branded Android smartphone with U.S. LTE bands. And the U.S. certainly isn't HMD's strongest market, or the strongest market for smartphones. That's China and India, two places that HMD is smart enough to focus on primarily (as well as Europe and the middle east) to maximize their profits. It's called smart business 101. I agree. They are leaving money on the table by not releasing their devices here in the US, a major market. They have been growing both sales and market share and have become a top 10 global smartphone manufacturer without the U.S. Market due in part to the two most important smartphone markets, China and India. OEM’s like Huawei, Xiaomi, and HMD have proven that you don’t need a huge presence in the U.S. to be successful if you are successful in other markets around the world. The bootloader on the Nokia 8 can be unlocked now, as per HMD. It's not an Android One smartphone, though. I prefer locked bootloaders, as an extra measure of security. That's you though. Maybe he prefers downloading ROMs and custom UI on his phones. The phone world doesn't revolve around you. Lmao! And who said it does? I even told Jim about the Nokia smartphone with a bootloader than can no unlocked. Stop trying to find fault in everything I say when there is none.